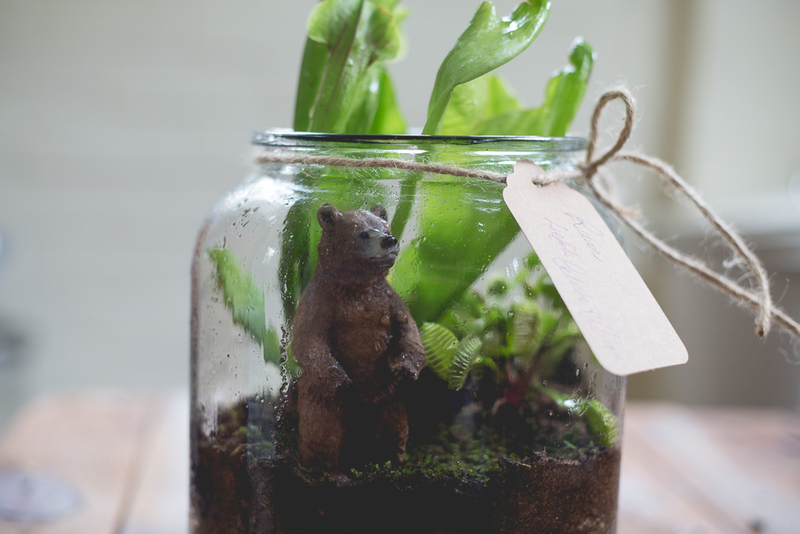 Terrariums are beautiful additions to the home which have reached new heights of popularity over the past year. The trend for keeping terrariums started in 1842, when the botanist Nathaniel Bagshaw Ward, who had interest in observing insect behaviour, accidentally left one of his insect jars unattended. A fern seed grew, germinated into a plant, and the terrarium was born. The trend then quickly spread across Victorian England. This was known as a Wardian Case instead of a terrarium. If you're anything like me you'll have succumbed to this amazing combination of botany and vintage charm. However, buying a terrarium in a shop will set you back anything from $100 - $200! *Gasp*. I know. Instead, consider making your own. They make great gifts, every one I know is receiving one for Christmas (shhh, don't tell). By making them you also have the ability to personalise your terrariums, for example an air plant terrarium is great for that friend that kills plants just by looking at them. 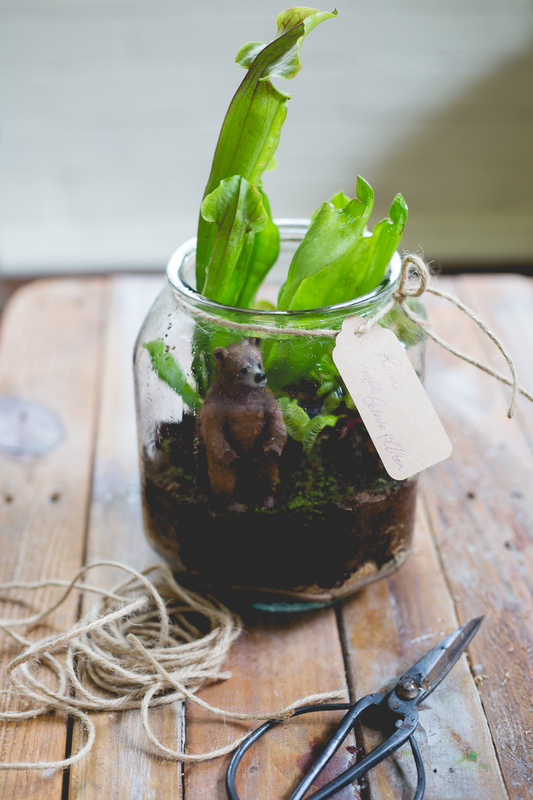 My absolute favourite type of terrarium is one filled with carnivorous plants, here's how to make one. I've also put some important info about keeping it alive at the end of this post. Fill the jar with a 50/50 mixture of aquarium gravel and activated charcoal until it's about 2-3cm full. Add a thin layer of sphagnum moss to separate the gravel and the soil from the potted plants and to maintain moisture. Remove your venus flytrap from it's pot, carefully loosen the soil from the roots and place everything into the jar, do the same with the pitcher plant. Position carefully and fill any gaps between the plants with some peat moss. Remember to leave a small "clearing" for your toy animal. In the "clearing" you left for your toy, place the moss and then balance the toy on it. Pitcher plants and venus flytraps are normally found in swampy areas, so you have to keep them moist or even wet. Don't ever allow them to dry out. These plants have developed to capture insects for nutrients and as a result minerals from tap water will burn their roots, stunt and eventually kill them. So only water with DEMINERALISED water. These plants love the sun, so place your terrarium near a bright window which receives 4-6 hours of direct sunlight. Don't freak out if your plants die back during winter. They become dormant during the colder months and will flourish again as soon as the atmospheric temperature picks back up. You can buy carnivorous plants quite cheaply online ( I buy mine here). However, when bought online they will arrive with washed roots and no soil. You will have to plant them in a mixture of equal measures sphagnum moss, propagating sand and peat moss. All of which can be found at Bunnings or any nursery. Always plant carnivorous plants in plastic pots or glass containers as salts tend to collect in clay pots and these will kill your plants.